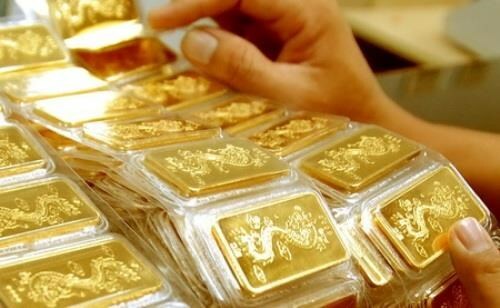 Hanoi (VNA) - The Government Office last week sent a written document to the central bank governor, referring to the mobilisation of idle gold and foreign currency sources from the people. Under the document, the Prime Minister required the governor to “continue focusing on doing research and implementing appropriate solutions to mobilise sources of foreign currency and gold among the people to serve development and investment”. At a meeting with the Prime Minister’s working group led by Minister – Chairman of the Government Office Mai Tien Dung last month, the request to mobilise sources of foreign currency and gold was also stressed upon. At the meeting, Governor Le Minh Hung also expressed his views on the mobilisation of foreign currency and gold from the people by means of stimulating transformation in the past few years. The governor said overall macro-economic solutions of the past years were very successful, thanks to which foreign currency resources were transformed into Vietnamese dong. In 2016, the State Bank of Vietnam (SBV) bought nearly 10 billion USD to increase its foreign exchange reserve, a large amount of which came from foreign currency held by the people, thereby turning into dong. Part of the resource was brought directly by the people into production and business while the other part was sent to commercial banks. “We think this is the best solution to mobilise resources in our context but still maintain macro stability, and not let fluctuation go out of control. Even with gold, in the last few years, we have not lost foreign currency to import gold; the people also are not pouring resources into buying gold as before, but utilising resources for the economy. We will continue to report to the Government specific solutions to mobilise resources but still ensure stability” Hung said at the meeting. Vietnam stopped the mobilisation of gold in 2011, and a similar move was applied for the dollar in 2015 when the zero percent interest rate for dollar deposits came into effect. The policies have contributed to restricting dollarisation and goldenisation in the economy and avoiding chaos in the market, with locals not using the dollar and gold as means of payment. However, with the application of the policies, for gold alone, it is estimated that there are currently some 500 tonnes held by the people, which would be very useful if converted into dong to invest in the economy.